Disappointing is the only way that could describe this year’s Melbourne Cup. As someone that loves the race so much and someone that loves the horses, it finished a hollow day. In chronological order, the first disappointment was Red Cadeaux finishing second yet again. The wagering on horses is only ever side issue for me. It’s the sporting story that means far more. When he burst to the lead down the straight, I couldn’t care less about any bets on other horses, and started cheering him home wildly. Sadly, that moment was barely a few seconds, as Protectionist leaped to the front and ran away with the race. Some minor satisfaction did soon emerge, that second place was a great achievement for “Cads”. To do it now three times in four runs, it puts him in Melbourne Cup folklore. The second disappointment was obviously the death of the favourite from Japan, Admire Rakti, and then later in the evening learning that Araldo had to be euthanised. Admire Rakti collapsed soon after the race in his stall, dying of acute heart failure. He dropped back very quickly in the race just entering the straight, so immediately something seemed odd. No one expected this. Then Araldo, who finished 7th, was spooked by a flag waved close to him as he walked back from the race, and in recoiling away, awkwardly twisted and planted his leg, smashing a pastern bone in his off rear leg. Both deaths were of such a freak and unavoidable nature, and unfortunately animal activists disgraced themselves by their ghoulish hovering over the carcasses to make their ignorant points. First and foremost, the deaths were freakish and could not been prevented. Human athletes die of such heart conditions and no one calls for their sports to be banned. Admire Rakti was never “flogged to death” or forced into the barriers as was disgustingly and ignorantly claimed. Only the final stages of a race are horses asked for their effort, and he was eased up much earlier than that. Before the race, the couple of tickles on the back of his legs were just to encourage a notoriously mischievous horse to enter the barriers. Facts are that a horse cannot be forced to run if they are really stubborn about it. As for Araldo, who could ever have foreseen such an incident like that? This has never occurred on the race track. In fact, such breaks of legs are more likely to be seen in private paddocks and stables. Is anyone calling for the horse pet industry to be dissolved? If you want to talk about deaths, the pet industry as a whole is far, far worse. Tens of thousands of cats and dogs are euthanised each year in Australia, and that’s only the ones officially recorded. Unwanted puppies, kittens and birds, especially with regard to show animals, are wantonly destroyed by their breeders. Then there’s the unimaginable torture that exists. Kittens burnt alive, hamsters put into microwave ovens, need I go on? Let’s also not forget the 60 billion animals worldwide bred each year as sources for food and clothing. In comparison, the horse racing industry is the most heavily regulated industry involving animals on the planet and most horses lead pampered lives. If I had a choice of being a cat, a dog, chicken, cow, pig or race horse, I know which one I’d choose. It’s also a sport that involves human fatalities, so the sacrifice is diffuse. A bit of perspective, please. Horse racing is attacked because it is high profile. Now that the Cup is over, all these big mouths will go away for another year, munching on dead animals for their lunch and dinner, thinking nothing wrong of it, in acts of total hypocrisy. Calls to ban whips and 2yo racing are also irrelevant to the events that occurred on Tuesday. If only activists were so sincere. No, that’s part of the strategy to pick away at the edges – and mostly because activists don’t like “the look” of the whip or “the idea” of a 2yo racing, not that there’s anything genuinely cruel happening. Even if these wishes were heeded, within a few years, the activists would be back again to demand the entire sport be banned. For what it’s worth, in an ideal world, it would be great if no animals were used for anything. The world is such a long way from that, that to simply say “no animal exploitation” is unrealistic. Food and clothing substitutes need to be developed, and so too life-like robots to replace organic pets. Personally, while I’m no vegetarian, I already prefer vege hot-dogs over standard ones. It’s steps like this that will ultimately start reducing mankind’s reliance on animals, not irrational, militant and disrespectful conduct. Lost in the double disappointment is Protectionist’s amazing win. I was staggered to see a horse bolt away like that, and learning the times of 11.66 seconds for the final 200 metres and 22.75 for the final 400, it was ridiculous, and more typical of closing sectionals in many sprint races. That’s why you needed to be happy for Red Cadeaux as he was beaten by a almost a freak performance. You also could not help marvel at the performance of Protectionist itself. The mood in the crowd immediately after the race says so much. While there was the isolated excited race-goer here and there, mostly it was subdued. The only post-race atmosphere more subdued in recent times was Green Moon in 2012. In that year, first, second and third were unfancied. In 2014, it’s fair to say most people were hoping for Admire Rakti, while Red Cadeaux and Who Shot Thebarman had their supporters cheering… until Protectionist’s blitzkrieg. Removing Protectionist from the equation, you do need to wonder about the strength of the field. It was already considered weaker than previous years, and vindicated by Red Cadeaux being a 9yo and not in the form of previous years, and Who Shot Thebarman in third being not much more than a glorified plodder. Even Precedence, in his fourth attempt and also a 9yo, achieved his best result in sixth place. Not that it all matters ultimately. It’s about the drama of the race, and this year we got a memorable winner and runner-up. Admire Rakti’s sad demise did rob of us potentially of a monumental finish. He got a nice a drag off tearaway leader My Ambivalent and about to make his run when he faded. If you imagine Delta Blues in 2006, they raced almost identically, and most likely Admire Rakti would have skipped out by a few lengths as Delta Blues did. In 2006, Pop Rock emerged to chasing and just fail to catch Delta Blues. In 2014, Protectionist – who had to come from near the back of the field – would have been that challenger. Sadly we can only imagine. Fawnker (10th) and Lucia Valentina (13th) didn’t run the distance. It was suspected before the race. In fact, it was proven the year before for Fawkner when finishing sixth. Still so many of us were lured into selecting them by their brilliance over shorter distances. If something is certain in this modern era with the Melbourne Cup, horses that can’t run a strong 3200 metres, avoid, avoid, avoid, avoid. It’s that simple. Signoff (4th) just lacked that touch of class to strongly run out the race. He loomed up into the straight and seemed destined to race away with it. He may not have been seasoned enough or perhaps didn’t back up after Saturday’s race. That’s always the risk with the approach the connections took with the horse. He’ll be interesting to watch next year. Often, horses don’t back up a year later anyway. Their first shot, especially with such a light weight, is usually their best. Look at Fawkner. Mutual Regard (14th) couldn’t accelerate. His run ended quickly so possibly he found the ground too firm. He hadn’t a lead up run in Australia so it was always a risk. Normally I follow the rule to ignore internationals that haven’t run in Australia yet. I was seduced by his Ebor win (an inconsistent form reference at best) and his relatively short odds, and Damien Oliver the jockey. Most couldn’t run the distance, lacked the class or were plodders. Seismos (9th) is the classic example of the latter. He’ll run forever; he’ll just do it too slowly. Willing Foe was serviceable in fifth. Araldo (7th) lacked the big acceleration -emphasised by him racing back with Protectionist and finishing lengths behind him. The outside barrier impacted here, forcing to tuck behind the field after the start. Had he been able to race on the speed, he would have battled for a few spots higher. My Ambivalent (17th) was always either a speculative hit or a probable miss. She was a miss; never settled and ran too hard early. Banking on Admire Rakti as I did, obviously the result was a wipeout. I had Protectionist outside my top four. After Admire Rakti, the next three of Fawkner, Signoff and Mutual Regard were tough decisions. In overall betting, Fawkner, Lucia Valentina, Protectionist and Mutual Regard were essentially equal second favourite. In hindsight (yes, it’s wonderful), I should have tossed aside Fawkner (distance doubt) and Mutual Regard (unseen international). Most likely I still go Signoff as second pick. The issue I always had with Protectionist was that Herbert Power run where he was beaten by Signoff and others. His run also seemed to end 50 metres out in this 2400 race. His overall record still suggested he’d run 3200, and his recent form was good, so the Herbert Power should have been seen as an acclimatisation exercise, not so much a form reference, as such races rarely are these days. As mentioned in the preview, all 5 panellists on Sky Racing’s “Racing Retro” picked Protectionist. 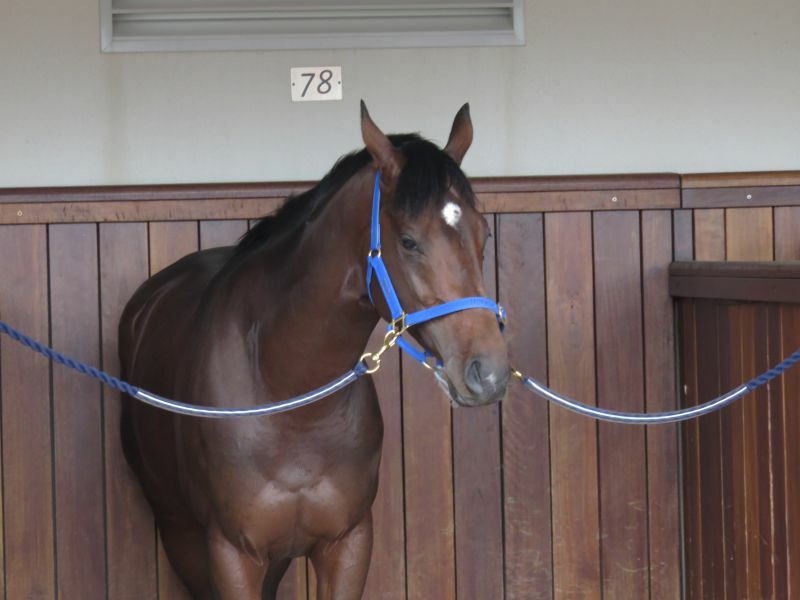 Protectionist also emerged as top pick from the racing experts in Melbourne’s Herald Sun. Why do all the form crunching yourself when you can leave it up to others? Of course, if you go against your own hunch and that hunch pops up, you’ll be disgusted. Also, the experts don’t always get it right. Maybe use them as a covering bet, or to validate your own hunch. For those new to the Socceroo Realm, the Olympic Games and the Melbourne Cup are my other two sporting passions. I’ve been to the Melbourne Cup every year since 1977, and would apparently have gone in 1976 had the weather prediction not been for heavy rain and storms. It’s always a fascinating race, watching all these horses converge from different paths and, these days, from all over the world. While I’m no punter, I do make an exception for this great race. Because there’s 24 horses, you always get great value, even for a favourite. Since I’ve been old enough to bet, my average is a win every three years, which keeps me ahead. In the past 10 years, I’ve been hoping to land a big trifecta or first four. Predicting the Melbourne Cup is an evolving process, with last year being a bit of a lesson. A rule I’ve followed for a long time is ignore horses that have failed in a previous Melbourne Cup. This rule is sound on the provision that “failed” truly means failed. The first three of 2013 of Fiorente, Red Cadeaux and Mount Athos were all return runners. The key is that Fiorente and Red Cadeaux did not exactly fail, with both running second in 2012 and 2011 respectively, while Mount Athos was an unlucky fifth in 2012. It could be excused to ignore Red Cadeaux as he did fail in 2012, finishing eighth. Two other rules remain rock solid. Most of the field actually won’t run the trip, while those that can, some don’t have the class or, as with many Europeans, are plodders lacking the required acceleration. Other historical statistics can also be applied, notable age and weight. Only two 8yo horses have won, and that was so far in the past that’s irrelevant. No 9yo has won. The last horse with 58.5kg to win was Think Big in 1975. Makybe Diva in 2005 carried 58kg, which is effectively 60kg, if you consider mares typically get a 2kg allowance on the weight-for-age (WTA) scale. Since she’d won it twice prior, it was a realistic handicap. Often there’s talk of horses “lugging weight” and that sort suggests a cruelty. Wrong. First, the days when Carbine carried over 65kg in the 1800s are long gone. Second, in handicaps, weak horses have their weight lowered, with top weights carrying their normal weight. In WTA races, older male horses carry 59kg, while mares get 57kg. In the Melbourne Cup, the top weighted horse is only 58.5, while the bottom weight is 51kg. If these respective horses raced in a Cox Plate, both would carry 59kg, meaning the bottom weight of Signoff in the Cup would simply have no chance against the top weight of Admire Rakti. Speaking of Admire Rakti, there was some controversy that he was penalised “only” half a kilo for winning the Caulfield Cup. Again, this needs to be seen in the context of handicap allocations – to reduce weight of weaker horses, not to lug top horses with more and more. Since Admire Rakti was already top weight in the Melbourne Cup, there’s little room to assign more weight as he’d start exceeding his normal WFA weight. If he was only 53kg before the Caulfield Cup, he’d have got a penalty of 2kg most likely. Furthermore, the modern Melbourne Cup is more a “quality handicap”, with the weight range compressed, which again leaves little room to penalise heavily, and also means that any penalty given has a much greater effect. Lead up races like the Herbert Power, the Metropolitan, Moonee Valley Cup, Geelong Cup and the Lexus Stakes – many of them are irrelevant. So, too, seems the Caulfield Cup. The last Melbourne Cup winner to come from the Caulfield Cup was Delta Blues in 2006. 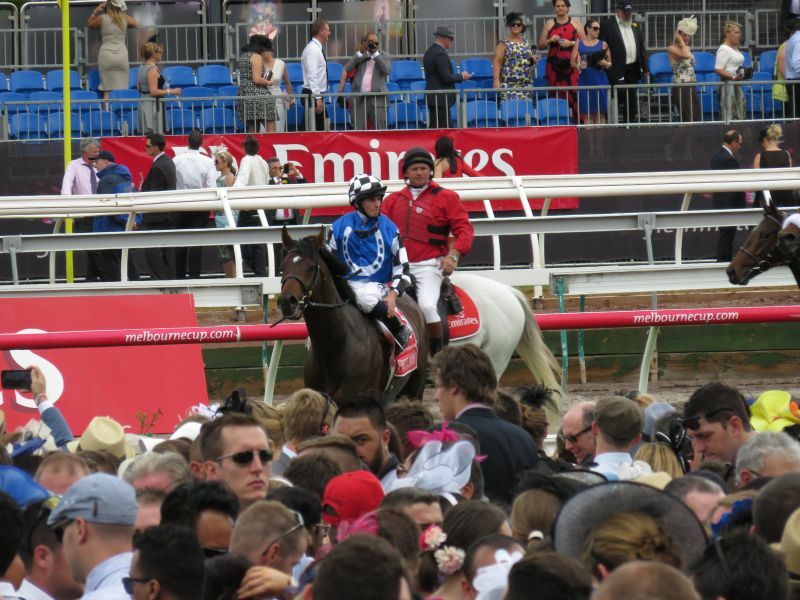 Many Melbourne Cup horses bypass the race for fear of a penalty, while other horses that target it do so because the Melbourne Cup is becoming so difficult to gain a start. Unless the horse was dominant in these lead-up races, don’t trust the form. Weight seems the only issue. Also, the Caulfield/Melbourne Cup double is difficult to achieve, and usually is done by a horse that won at Caulfield with a light weight so could cope with the penalty into the Melbourne Cup. Since Admire Rakti was not penalised heavily, he remains a great chance. Was here in 2012 and failed. Even if overseas form is better, age now a problem. Didn’t quite run it out last year when sixth. Seems to have improved has been trained specifically for it. It’s a weaker field too, it could all add up. Age against him. His form overseas is well down compared to previous year. Every single one of the 5 panelists on Sky’s Racing Retro show has picked this. The rare time German horses come to Australia they generally perform quite well. The main problem was the run in the Herbert Power. That race is never a guide and he was still beaten by average horses. Signoff was ahead of him and is in the Cup with 5kg less. As much as the Sky team were dubious of the Lexus form (Signoff’s win on Saturday), then you must be even more dubious of the Herbert Power. All that race proved is that the horse had acclimatised. Distance also a query. The track will be firm, which could be another problem. Too slow. The only positive is the stable has done well with Dandino last year and the unfancied Jackalberry (third in 2012). The Metropolitan is traditionally a rubbish guide. Didn’t do enough in the Caulfield Cup either. Stablemate of Mutual Regard. It’s here for the sight-seeing. Didn’t exactly fire in Australia 2 years ago. Form dubious, a distance query and track will be firm. Won the Ebor (UK’s “Melbourne Cup”) well, which can be a guide (Purple Moon 2nd in 2007). Damien Oliver on board is a good sign. Only issue is acclimatisation. Generally it’s best to see them run in Australia first. Under the odds because of its name. Caulfield Cup was poor. Seems to lack the class. Lightly raced recently and difficult to line-up the form. Seems to be a plodder. Has it acclimatised? So many questions. “Mathematically”, should win by four lengths. 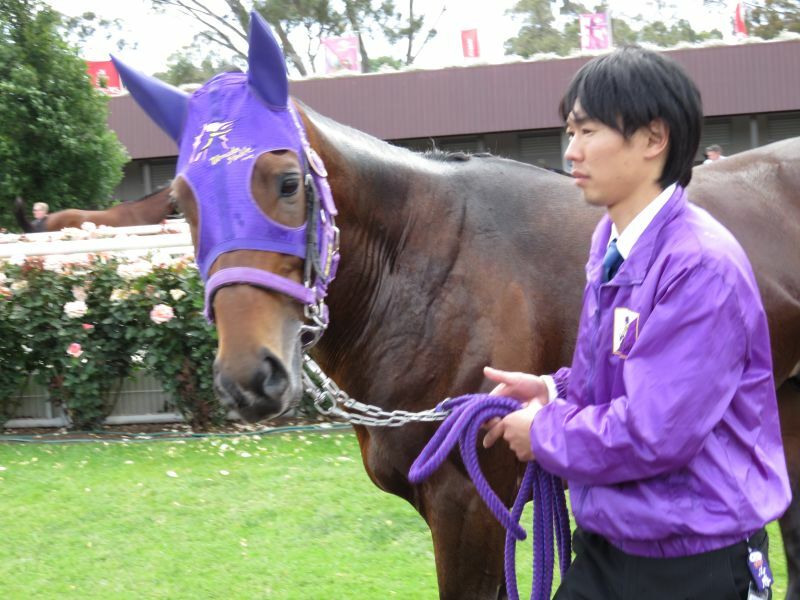 Has the class, with form around Admire Rakti, maybe even surpassing him, and she has 4kg less too. Injury concerns (scratched from the Caulfield Cup and training affected) and is flighty – even for a mare. That’s doubly bad for an international mare, as they have never fired, and are rarely brought out. Overall, mares have a poor record in the Melbourne Cup unless they have some robustness to them. A 4yo lightly framed mare. That spells danger. There’s also the distance. Distance was a concern in the Caulfield Cup. She was targeted for that race and ran into third thanks to a slow pace. Now she’s tossed into a fast Melbourne Cup over an extra 800m and expected to win? There’s a big spruik about her because of her brilliance. Ran away with the Lexus Stakes – reminiscent of Shocking in 2009, which then won the Melbourne Cup. Malucky Day ran second in 2010 after a similar performance in the Lexus. The light weight makes the horse so appetising. The issue is the class. The Lexus field was even less worse than the average fields of its other lead-ups. The stable says the horse has been trained specifically for a Lexus and then a tilt at the Cup. We’ll see if this meticulous planning has worked. I can’t go past Admire Rakti. Only historical statistics surrounding weight is against him. Even then, it’s not of great relevance given only in 2005 Makybe Diva won with arguably a greater imposition and over a field with a less compressed weight range, and he’s only carrying 58.5. He’s world class, he runs the distance and he’s Japanese. Those three factors stand alone. From there, almost every horse has a reason that they cannot win. The two with the least negatives are Fawkner and Signoff. The most likely of the Europeans seems to be Mutual Regard, while I’ll certainly throw a twenty on My Ambivalent. I’ll place a big win bet on Admire Rakti, smaller bets on Fawkner (I always bet the greys) and My Ambivalent. The first four will go into a boxed trifecta and a boxed first four. A special trifecta will include Admire Rakti to win, with either Signoff and Fawkner second, and the field in the third. Remember: Enjoy the race first, and only bet as much as you want to lose!